Woking, Surrey: Tuesday, 5th May 2015 – VAD Wick Hill announced today that it has been appointed as a UK distributor for US-based Tenable Network Security®, Inc. Tenable is the world leader in continuous network monitoring, helping organisations of all types identify vulnerabilities, reduce risk and ensure compliance. 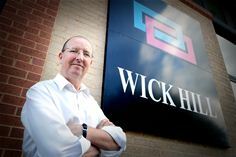 The company plans to expand its presence in the UK market, particularly in the enterprise sector, through the channel using Wick Hill as a value added distributor in a two-tiered distribution model. Wick Hill will sell the full range of Tenable solutions. These include SecurityCenter Continuous View™, which provides the most comprehensive and integrated view of network health and Nessus®, the global standard in detecting and assessing network data. SecurityCenter Continuous View, Tenable’s market-defining continuous network monitoring platform, brings together the unique sensors for vulnerability scanning, passive network monitoring and event data, and augments them with vulnerability and threat intelligence information to help take the pulse of your network at any time. The recently launched SecurityCenter 5 delivers a new way to think about security assurance and risk assessment with the industry’s first ever Assurance Report Cards (ARCs). Tenable ARCS in SecurityCenter 5 help CISOs and security teams measure, analyse and communicate the effectiveness of their security programmes to C-level executives, board members and business managers, helping align security policies with business objectives. Nessus is the most widely deployed vulnerability scanner in the world. It is available in Nessus Manager for enterprise users and Nessus Cloud (SaaS) versions. Nessus Manager combines the powerful detection, scanning and auditing features of Nessus with extensive management and collaboration functions. Nessus Manager enables the sharing of resources including multiple Nessus scanners, scan schedules, scan policies, and most importantly, scan results among an unlimited set of users or groups controlled from a single central console. Nessus Cloud combines the detection, scanning and auditing features of Nessus with multi-user support for enterprise teams and the flexibility of a cloud deployment. Nessus Cloud is also a PCI DSS Approved Scanning Vendor (ASV) solution. The recently launched Nessus Agents, available for both Nessus Manager and Nessus Cloud, addresses the unique security challenges that come with an increasingly mobile workforce. Agents help reduce the attack surface of your network by enabling portable devices, such as laptops, to be checked for vulnerabilities, configuration and compliance even when not connected to the network during scheduled assessments. Agents are lightweight, can scan virtual machines and help alleviate the credential headaches associated with traditional network scanning.